What does coercion mean? Who does coercion apply to? Let’s define coercion. Coercion definition: the practice of persuading someone to do something by using force or threats. Most people are unaware of what the life of a trucker must entail. It isn’t difficult to imagine that it must involve plenty of hard work and sacrifices. The world of trucking is immense, as it includes many governing entities and third party components in addition to the hundreds of thousands of truck drivers that are on the road daily. There are federal regulations that all these participating bodies are required to abide by. Unfortunately, many truck drivers are being forced into violating such regulations by the very people that oversee their employment—an act that is known in the trucking industry as driver coercion. FMCSA proposes to adopt regulations that prohibit motor carriers, shippers, receivers, or transportation intermediaries from coercing drivers to operate commercial motor vehicles (CMVs) in violation of certain provisions of the Federal Motor Carrier Safety Regulations (FMCSRs)–including drivers’ hours-of-service limits and the commercial driver’s license (CDL) regulations and associated drug and alcohol testing rules–or the Hazardous Materials Regulations (HMRs). In addition, the NPRM would prohibit anyone who operates a CMV in interstate commerce from coercing a driver to violate the commercial regulations. This NPRM includes procedures for drivers to report incidents of coercion to FMCSA, rules of practice the Agency would follow in response to allegations of coercion, and describes penalties that may be imposed on entities found to have coerced drivers. This proposed rulemaking is authorized by section 32911 of the Moving Ahead for Progress in the 21st Century Act (MAP-21) and the Motor Carrier Safety Act of 1984 (MCSA), as amended. Coercion happens when a driver is being forced and threatened, either by the carrier or shipper or any other third party firm, to violate certain and some federal regulations in order to meet certain deadlines, schedules, or other work-related factors. In the past, many truck drivers have expressed concerns regarding the existence of this coercive pressure in the workplace, and the U.S. Department of Transportation’s Federal Motor Carrier Safety Administration (FMCSA) have sought to address this largely impactful safety issue. The FMCSA strongly advocates the ideal that no driver should be contrived to potentially endanger the entire motorist community by the involuntary violation of federal safety regulations. The agency has also specified that violations do not have to have occurred in order for coercion to be punishable by law. The FMCSA has finally published a standard rule that prohibits and penalizes such acts, and it is officially known as the Prohibiting Coercion of Commercial Motor Vehicle Drivers or Coercion Rule. The main purpose of the Coercion Rule is to protect commercial truck drivers. The rule that’s been set forth addresses specific concerns regarding trucker coercion. It lays out the procedures that truck drivers can take in reporting incidents to the agency. 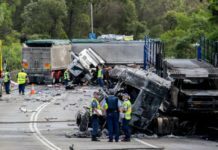 The rule also outlines the actions that the agency may take in response to complaints and allegations, and it also specifies the penalties applicable to those entities found to be guilty of coercing truck drivers. Many drivers in the past have already posed complaints regarding unfair and unfounded threats to their livelihood if they do not cooperate with violating demands. Some specific threats have included reduced pay or wages, denial of upcoming workloads, imposition of unfavorable work schedules, or even termination of employment. The FMCSA has expanded this definition of coercive threat to include any and every employment action that has a negative impact on the truck driver. Many drivers have also specified which federal regulations they have been coerced into violating in the past. One of these regulations is the number of driving hours the driver must undertake. Truck drivers are federally required to take a minimum amount of rest for his personal safety and the safety of other motorists on the road. Other federal regulations that drivers are commonly coerced to disregard include licensing requirements, transport of hazardous materials, drug and alcohol testing, and many others. The Coercion Rule targets shippers, carriers, and other operating entities and authorizes the FMCSA to take enforcement action against such intermediaries that violate this rule, especially those that carelessly jeopardize the driver’s safety with full knowledge. Violations as such have critical implications on the safety of the entire motor population. This is the reason why the FMCSA takes coercion seriously and aggressively. However, the FMCSA also places crucial emphasis on the driver to play his part because without the driver, knowledge of such actions will be limited, even impossible. The FMCSA encourages drivers to take action against coercion whenever they come across it personally or anywhere in the workplace. Drivers are also encouraged to familiarize themselves with the federal regulations, if not already familiar, so as to be able to specify which particular regulation will be violated in the case of a coercion attempt. In order for a situation to be considered an attempt at driver coercion, certain occurrences must happen. First, the transportation intermediary, carrier, or shipper must request the truck driver to perform a work-related task that will cause the driver to violate any regulations set forth by governing agencies. 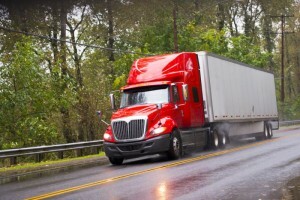 The driver must then acknowledge to the carrier, shipper, or intermediary that a regulatory violation will occur if the task in question was performed. If the carrier, shipper, or intermediary then makes any threat or takes any action that causes a negative impact towards the driver’s employment afterwards in order to pressure the driver to still commit the violation, an act of coercion has ensued. When the FMCSA originally came up with a penalty for violating the Coercion Rule, they proposed a fine of $11,000. However, many trucking groups and organizations have expressed their concerns and opinions, stating that such amount was too small a price to pay for such an incriminating violation. 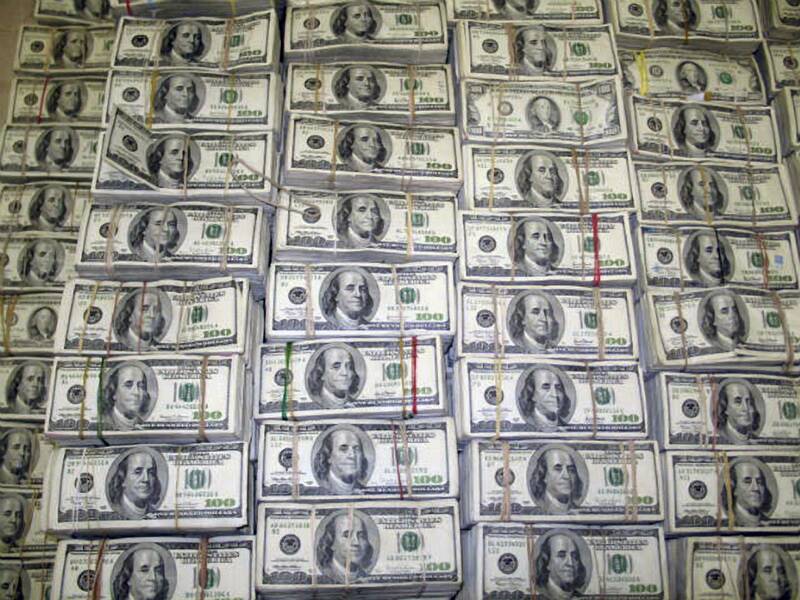 The FMCSA adjusted and raised this fine value to a maximum amount of $16,000 for those caught coercing. Some organizations have even called for the suspension of licenses and operating authorities of guilty vendors. The FMCSA responded to this with a promise of attacking coercion with force, which may possibly include the suspension of authority of entities in violation of the Coercion Rule. Eventually, this might even lead to the FMCSA exercising its authority to completely shut down guilty carriers. The national Highway Trust Fund will assume responsibility of all fines collected from penalties, as the Coercion Rule takes effect early in 2016 from when the FMCSA will begin accepting complaints from drivers. In order to properly report a violation to the FMCSA, drivers must file a complaint within 90 days of encountering a coercive action. Driver complaints must be as detailed as possible including any written accounts showing discussions of coercive attempts. Written accounts may include text or email messages. Complaints must also include any names of possible witnesses to the coercion. 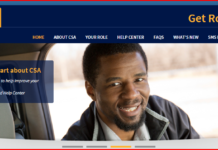 The drivers may contact the FMCSA Division Office in the state where they are employed, or they can also file a complaint with the National Consumer Complaint Database. Truck drivers need not be worried about any risks or retaliations that may go against them after any complaints, as the Surface Transportation Assistance Act (STAA) and the Occupational Safety and Health Administration (OSHA) have provided drivers with the whistleblower protection. The whistleblower protection gives drivers the ability to question their employers’ safety practices without fear or risk of losing employment. The Coercion Rule is but a small step towards providing the community’s truck drivers with the safety and the peace of mind they rightly deserve, just like any other working citizen in any type of workplace. Truck drivers play such an important and massive role in this nation’s commercial industries and businesses. It is crucial that they get protected from harassment and possible physical endangerment. Looking at the bigger picture, the safety of truck drivers also means safety for every motorist and passenger on the road. When drivers are fearful of employment threats, they are forced to violate regulations that were set forth for their safety in the first place. The Coercion Rule puts the pressure on employers to develop integrity and sound employment practices. No truck driver should ever be threatened or feel the need to violate any regulations because of force. The Coercion Rule will hopefully provide truck drivers with the respect and safety they surely should have on and off the road. For more information on what constitutes coercion and how to submit a complaint to FMCSA, see: www.fmcsa.dot.gov/safety/coercion.